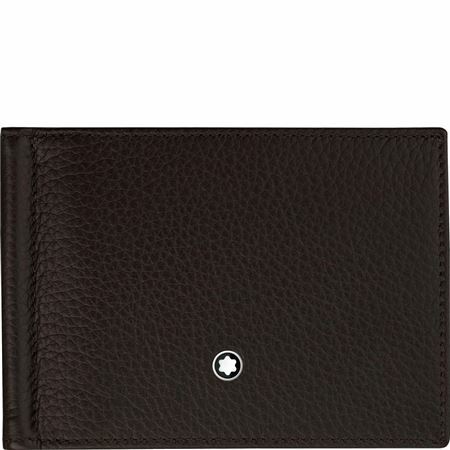 Order your Montblanc Meisterstuck Leather Wallet 6cc with Money Clip - Brown today from FahrneysPens.com. Fine Pens, Refills & Luxurious Gifts – great prices & fast shipping. 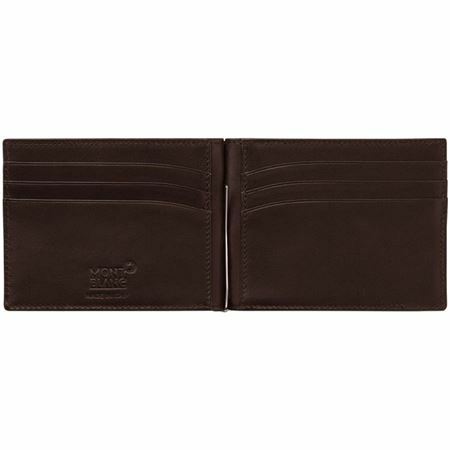 The Montblanc Meisterstück Leather Wallet 6cc with Money Clip features Italian full-grain cowhide with imprint and 6 pockets for credit cards. The cowhide is chrome tanned, pigmented and dyed through. The fittings include the Montblanc emblem with palladium-coated ring.